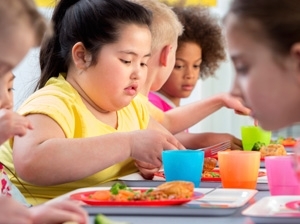 As experts expect the trend of childhood obesity to rise to nearly 60 million children by 2020, they’ve noted the health crisis is beginning to hit earlier in life—a fact that affects metabolic heath across early childhood and even into later life. In a study recently published in BioMed Central lead by author R. Laws with the Centre for Physical Activity and Nutrition Research with Deakin University, researchers examined the role of Maternal and Child Health (MCH) nurses to influence families to make better choices through education and adjusting lifestyle behaviors. “The aims of this paper were to: 1) examine the child obesity prevention practices of MCH nurses, 2) explore the key factors influencing such practices and 3) identify opportunities to enhance and support MCH nurses in this role,” Laws and colleagues wrote. The study used multiple methods and involved a survey of 56 MCH nurses with a total response rate of 84.8 percent. Sixteen of these nurses participated in structured interviews and both parts of the study aimed to examine the extent to which nurses addressed healthy infant feeding practices, healthy eating, active play and limiting sedentary behavior during routine consultations with young children up to 5-years-old. Key factors influencing such practices and how they could be best supported were also investigated. The results found that nearly a quarter of nurses measuring height/length and weight in consultations never used growth charts to identify infants who were overweight or obese. Additionally, less than half of nurses promoted active play and just 30 percent discussed limiting sedentary behavior like TV viewing. “Concerns about parental receptiveness and maintaining rapport were key barriers to more effective implementation,” the researchers wrote. Law et al concluded that while MCH nurses are in a position to help address obesity prevention early in life, many were reluctant to do so, missing an important public health opportunity.